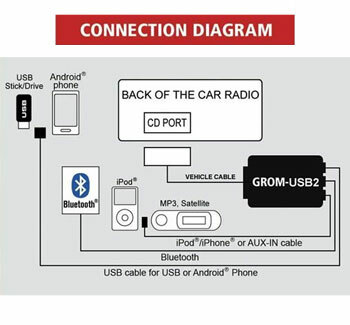 iPod, iPhone, iPad car integration: Connect your Apple device to the factory car stereo via USB port. Play music, control from car stereo or steering wheel, and charge at the same time. Use standard USB to Apple connector cable (including Lightning style). All iPod, iPhone, iPad are compatible, invcluding latest iPhone and iPhone Plus.